That's all for now. All of Vavel's post match content will be available on the homepage in the coming hours. Enjoy! "It was a good game, a game we deserved to win. Overall a really good performance. The problem was a bit in the second half when there were too many counters, we were still around but we lost a little control and rhythm." "Finding the mixture of 100 per cent control but also threatening and creating is the important thing for us. 2-0 is a really good result and I would have taken it at the start." "There were a lot of good performances tonight. We played the first game, we know more about each other so we go in to the second leg and play again." "These two legs are like a normal game, we are now at half time although it’s longer than 25 minutes and we know that going to Porto will be a really tough one for us." Job done? The chances of Jurgen Klopp admitting that to us in a few minutes are slim, but this was a conveniently , rather comfortable way to start a very busy period that could define the progress of Liverpool's twin objectives. 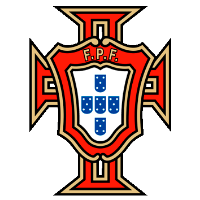 They will go to Portugal next week with plenty of work still to do, and there is a strong argument this could have been settled before half-time. On the other hand, an away goal at the Estadio Dragao will mean Porto will need four...and that's just not happening. Compared to Pep Guardiola tonight, Klopp will sleep easy enough. Liverpool have about three-quarters of a foot in the semi-finals. Game over. 2-0 Liverpool win and will be confident of seeing it through next week in the second leg. Keita could have got a second there. On his left foot, albeit from a tight angle, he forced Casillas into a save at his near post but it was not powerful enough. Three minutes of stoppage time are to be added to the end of this second half. Liverpool are not seeing out this first leg comfortably. They will undoubtedly be happy with their performance but they could have had more and put this tie to bed. They've had nine shots which is a lot for a Champions League knock-out match. Porto are targeting Liverpool's left back area and with some success. Corona has got the better of Milner on a few occasions but his crosses have not been met by a telling touch. Porto did claim, quite ferociously it must be said, for a penalty after Van Dijk came together with Telles but it was waved away by referee Lahoz. Firmino is going off, he is being replaced by Sturridge. Porto are beginning to push again and if anyone looks like scoring then it's them. Milner sloppily lifts a leg and allows the ball to fall for, who else, Marega. His shot from a tight angle carries on through the box without a touch. Militao again proving his worth with a vital interception to prevent Salah from a through run at goal. And then the Porto centre back plays a lovely weighted ball over the top to Marega. Unfortunately for the visitors, his shot was never on target, still the supporters applauded their team's effort. Maxi Pereira is being replaced by Fernando. Origi is immediately fouled by Corona and earns Liverpool a free-kick in a dangerous spot on the left side. Milner lays off Alexander-Arnold whose low drive is blocked before it even enters the Porto area. Torres is going off to make way for Costa. Origi is the chosen one, he's coming on for Mane in a straight swap. Yet more lovely combination play featuring Henderson, Salah and Firmino ends with Mane taking on the shot. It whistles past the post. The pace has slowed with Liverpool controlling play. There is less space for Marega to charge into now and is being well marshalled by Liverpool's centre-backs. Brahimi who has just come on is a swift left winger and the onus will now be on him to create. Klopp has got Wijnaldum, Sturridge, Origi and Shaqiri all warming up on the touchline and he may be inclined to throw one on. Friday evening was a fight until the death and Liverpool have got more tests to come in the next week, given their position a change would make sense. First change of the evening is a Porto one as Brahimi comes on for Soares, who hasn't been that effective this evening. Alexander-Arnold and Salah combine again with neat intricate build-up play on the edge of the Porto area. The ball strikes Felipe and goes out for a corner, from which Salah swiped at a shot that he could have possibly taken a touch to control and assess his options. This is now a very open game with both teams going for the next goal. Although Liverpool are comfortable on the scoreboard, at least for now, they look less so on the pitch. Danilo at the heart of Porto's midfield is constantly intercepting and breaking up Liverpool's play, he has been the visitors' best player thus far. Porto are trying their best to get into this tie, Conceicao has clearly asked his players to up their energy in this second half. They are switching play almost as effectively as their hosts now, although precision is still letting them down. Torres fires at goal but it goes out for a throw-in - the wind is negligible. The pace of Alexander-Arnold on full display! One moment he is diving to clear off his own goalline then seconds later he is 50 yards up the left wing, passing for Salah to have a shot at Casillas' net. The shot got a slight knick and was easy for the Spaniard to claim. Van Dijk and Alisson collide almost allowing Marega to pounce on the loose ball. It has given the travelling supporters something to cheer about but the consequent corner peters out. Liverpool have the ball in the net, but it's ruled out for offside. Mane didn't appear to be in an offside position but the referee and his VAR assistant believed that he was. Salah breaks down the right - he has been so lively tonight. Jostling one-on-one with Militao, Salah is superbly dispossessed by the Porto defender who is heading to Real Madrid in the summer. The second half has started as we the first ended. After a half time refreshment and a brief skirmish amongst the Porto fans we are ready for the second half. Keita's fifth minute goal dampened what was a forceful start from Porto. From there, Liverpool barely looked back; they had the ball, the chances and the comfort. Firmino doubled the hosts' lead and Porto have struggled to muster an answer. Marega has had a few charges at goal but nothing to seriously concern the home supporters. Porto will hope to get at least an away goal but the damage is being done at the other end. The half time whistle is blown and Liverpool go in at the break with a two-goal advantage. Liverpool are seeing out the half by keeping possession around the halfway line, there is no urgency, they have the lead. The fourth official has indicated that there will be one minute of added time. For the first time all evening Fabinho's stranglehold on midfield is broken by Torres who sends a through ball towards Marega. But who'd have thought it, Van Dijk is there to sweep up the ball and the Porto striker. A short free-kick routine from Porto releasing Corona on the right side of Liverpool's area comes to nothing thanks to yet more collective defending from Klopp's team. Lovren slides in to stop Soares before Alisson is required to claim in the air. There's been a little more to occupy Liverpool's defence as Porto up their pressure at the end of this first half. Porto are struggling for ideas when they do actually manage to get the ball of Liverpool. Too often wasteful balls are sent forwards for Marega or Soares to reach but it's too easy for Van Dijk and Lovren at the moment. Henderson again leads Liverpool's attack, he sends a cross towards Salah in the centre of Porto's area but instead the Egyptian leaves for Firmino who doesn't quite connect correctly and swipes the ball out for a goal-kick. Porto pounce on a jarred pass by Liverpool. The ball falls for Marega who shoots at goal but is denied by the feet of Alisson. From the rebound Porto have another try with Corona sending a looping ball across goal but Alisson was again there to punch, but only onto Alexander-Arnold. The ball did strike the defender's arm as it went out for a corner, VAR checked for a possible penalty but correctly it was not awarded. And there's the second - a simple cutting open of the Porto defence. Henderson to Alexander-Arnold on the right who crossed for Firmino to tap into an open net at the back post. No Porto defender could stop that, it was too slick and too precise. 2-0. The movement and interchanging of Liverpool's front three and advanced midfielders is apparent this evening more so than ever. Salah has been hugging the far touchline for much of the first 25 minutes, giving Alex Telles a run for his money. Henderson is at times playing alongside Mane. The freedom that Klopp gives them when in attack is quite something. Good chance for Liverpool to double their lead. With both centre-halfs split, Pereira plays a blind pass back towards goal, it is ceased upon by Salah who approaches Casillas but sends the ball wide of the far post. Porto were seriously let off there. Conceicao is demanding more from his wide players; Corona and Otavio have struggled to assert themselves on either flank yet with much of Porto's play being in central area with captain Danilo. Another quick break from the visitors, again spearheaded by Marega. This time his shot goes out for a goal kick and the striker's claim for a corner falls on deaf ears. Another warning for Klopp's side of Marega's strength on the break. It's all a bit frantic when Porto get possession of the ball; Torres in midfield has played one or two inaccurate passes. Salah has just had a standing ovation for a phenomenal track back and tackle on Marega, Porto's forceful striker. Liverpool are dictating terms now. Van Dijk has just played a lovely ball to the far side to switch play to Alexander-Arnold. It was as accurate as an arrow. The Liverpool full-back curled a low ball into the area but it was dealt with quite easily by Militao. That is the start that Liverpool would have dreamed of, especially after the positive, albeit brief, start Porto had made. The visitors are playing with a back-five now trying to stem the tide of Liverpool's attacking hoping not to concede a swift second. And there is the opener. Casillas wrong-footed and Keita's shot from the edge of the penalty area loops into the far corner. Liverpool with the lead and Keita has a new song from the Kop. An early remark: Henderson is in a much more advanced role with Fabinho sitting deeper. The Liverpool captain may want to try and add to his goal on Friday evening. Porto have started on the front foot; Fabinho has already had to use his telescopic legs to intercept some incisive balls. Alisson has sliced the ball out of play and Marega has shot wide. Quite a forceful start from the visitors. Porto get us underway in this first leg of the Champions League quarter finals. They are kicking from left to right and are doing their traditional blue and white number. The clock is ticking towards 8 o'clock and both sets of players are heading out of the tunnel. The Porto fans have their blue and white flags whilst the home supporters have their red scarves. There really is quite an atmosphere at Anfield this evening. This evening's refereeing team are from Spain and headed by Mateu Lahoz. VAR is also in use, as if you would need reminding. Both teams are out warming up on the Anfield turf. We are now less than 20 minutes away from kickoff. ...and now here they are in black and white. Liverpool XI: Alisson, Alexander-Arnold, Lovren, van Dijk, Milner, Henderson, Fabinho, Keita, Salah, Firmino, Mane. Subs: Mignolet, Gomez, Matip, Wijnaldum, Sturridge, Shaqiri, Origi. Porto XI: Casillas, M.Pereira, Felipe, Militia, Telles, D.Pereira, Torres, Corona, Otavio, Marega, Tiquinho. Subs: Vana, Leite, Costa, Hernani, Brahimi, A.Pereira, Santos. Porto striker Marega has the strength, hunger and finishing ability that make him a terrific all-round target man. It was evident against Roma in the second leg of the round of 16. When he’s on his game he can cause any defence serious problems. The Malian international has scored in each of his past six appearances in the Champions League. His goals played a major part in Porto going unbeaten throughout the group stage - five wins and one draw. The sun is starting to set on what has been a gorgeous day on Merseyside. There is a growing buzz around the stadium and the travelling Porto fans have certainly had lovely weather to explore the city today. Both teams are currently arriving at Anfield and the team line-ups will be confirmed at 19.00BST. I'll pick things up tomorrow about an hour prior to kickoff. We will have team news, build-up and commentary of this Champions League quarter final match. This is when the competition gets really tasty - bring it on! "Liverpool is on a very high level. Every week they have a very high level of competition. With us it's not like that, no disrespect to the other teams. Realising the power of the opponent, our absences and that we are in the first game of the quarter-finals, we have to be smart and creative in the strategy for the game." "There is no vengeance. All games have different stories. No previous results can change the course of our team. We don't have to think about last year. We have to enjoy the challenge we have tomorrow." "No one wanted to draw Liverpool but we are all ambitious. The important thing is this moment. What we reap in the Champions League will depend on what we do in these two games. We have to take it one step at a time." "Perhaps Liverpool are favourites because they play at home and here is always a difficult stadium. There's no sense of vengeance in the squad. There is a feeling of great ambition and wanting." "Herrera is a great absence, he is our captain. But our squad has players who can play on any kind of stage. We have several options and we have worked well to face this Liverpool side." 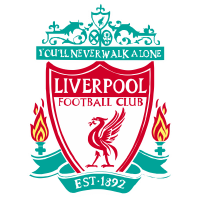 "Liverpool counterattack very well, they have very fast players and are a very compact team. But they also have gaps and we will try to exploit them to the fullest." "Our attitude will be very positive. It's not because it's Liverpool that we're going to have another attitude. We have to be mentally prepared because it's not just another game, but it's the quarter-finals of the Champions League." 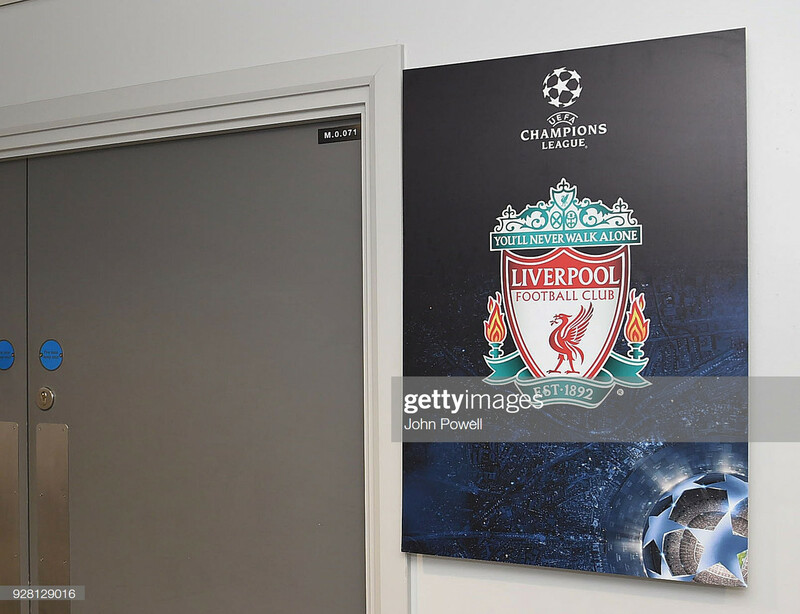 Porto arrived on Merseyside early on Monday afternoon and swiftly travelled to Anfield were they trained and held media briefings prior to Tuesday's match. "We have had much more positive moments [in Europe] than negative. We are now a bit more experienced. After the Bayern game everyone spoke about the 0-0 here and everyone said that wasn’t enough. It was clear we had a chance in Munich and we used it. Now we have to face Porto with the same respect." It [last season's away game] was a strange game, we were clinical, two or three goals from counterattacks. The result from last year is more valuable for Porto than it is for us. We have to be strong, clear, direct in the right moments and creative." "Everybody wanted Porto, until you have Porto. We didn’t want Porto, to be honest. They only look at numbers, names and stuff like that. People with a proper idea about football didn’t want to have Porto. That’s the truth. But we have it. But nobody wanted Liverpool, by the way. It will be a tough one but we are really looking forward to it." "They [Porto] don’t want to experience what they experienced last year. The most important thing for us is to focus on ourselves and remember we will face a tough team. Tomorrow is going to be a big game. Hopefully we set a base to take to Porto as we know how tough it’s going to be over there." "We have so much quality in the team, so much talent, hard work we put in every day in training. Our strikers keep pressing and defend well, our midfield keep running and play well when we have the ball. We are working hard for the team, working hard for each other and going the extra yard." Liverpool will be without Andy Robertson for this first leg match as he is out through suspension. The full back will be a big miss for Klopp with his crosses and overlaps becoming ever-more fruitful. James Milner is expected to replace the Scot but Alberto Moreno could make a surprising start. Virgil van Dijk is expected to be fit to play as is midfielder Georginio Wijnaldum who had a minor back injury, but Adam Lallana is likely to miss out with a muscle issue. Joe Gomez, who has been sidelined since December, "won't play unless he has to", according to Klopp. Porto will not have the services of centre-back Pepe, who joined on a free transfer from Besiktas in January, because of suspension. Midfielder Hector Herrera, who has amassed over 30 starts for the club this season, will also be out for the same reason. These two sides met a stage earlier last season; Liverpool beat Porto 5-0 in Portugal before coming back to Merseyside and ensuring that no dramatic turn of events emerged from a humdrum 0-0 to see Liverpool through comfortably to the quarters. The gap between the two was evident then. Liverpool will be clear favourites again to progress this time. Jurgen Klopp's side sit at the top of the Premier League having only lost one match in the league all season. They will feel that, with this somewhat favourable draw, they can manage fighting tooth and nail on two fronts. The win over Bayern Munich will only add to their confidence. Porto will look to upset the party though, and are a much improved side from 12 months ago. Only four of those that started the 5-0 drubbing last campaign are likely to start on Tuesday and a new-look back line is the main reason for currently sitting joint top of the league. Manager Sergio Conceicao has drastically improved Porto even during the past year and his development of this hard-working, efficient yet effective side will have caught the eye of many suitors around Europe. Whether he can get his side to cause an upset at Anfield though will be a much tougher ask. Hello and welcome to VAVEL UK's live text coverage of this Champions League quarter final first leg match between Liverpool and Porto from Anfield. I'm Oliver Miller and I'll be keeping you updated with not only the score but also updates, analysis, and general colour from Merseyside. It is an 8.00pm kick-off on Tuesday and you can bookmark this page to stay up to date with the latest updates and team news as the match approaches.